Many remember listening to a cassette tape on a deck or portable player like Sony’s Walkman. Pressing the rewind and stop buttons to find the right track and flipping the tape to listen to the reverse side were all part of the reel-to-reel tape ritual. Not to forget the messy moment of a tape getting chewed inside of a deck or the importance of having a pencil handy. The heyday of cassette tapes came to a close late in the 1990s, as they lost out to digital compact discs. 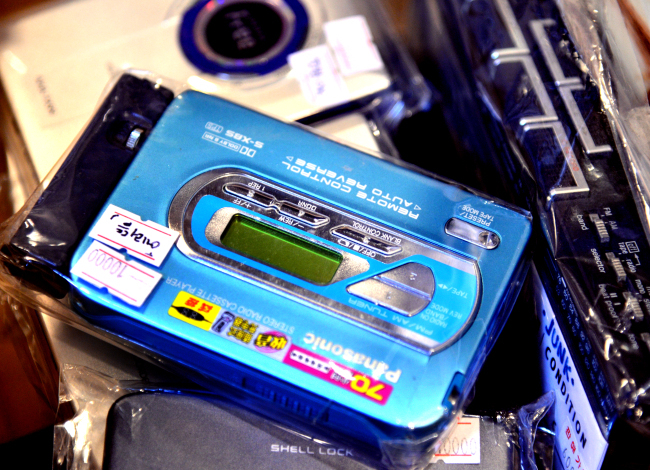 A resurgence of the once popular music format became even more unlikely, as MP3 players and internet streaming services subsequently emerged. 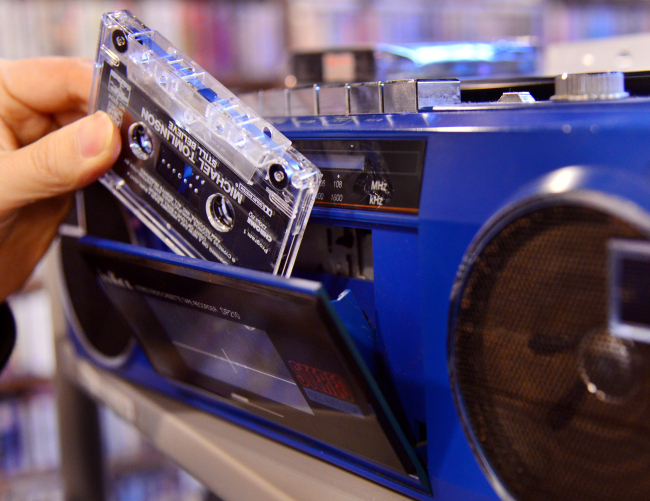 Cassette tapes seemed to have become a relic of the past. 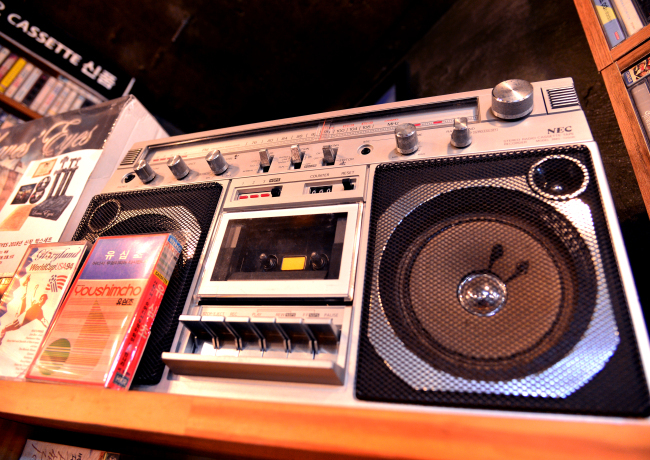 However, as it was for vinyl, cassette tapes have recently begun to be treasured for their retro quality. They might have lost their appeal to the general public, but they still attract a niche group of collectors. 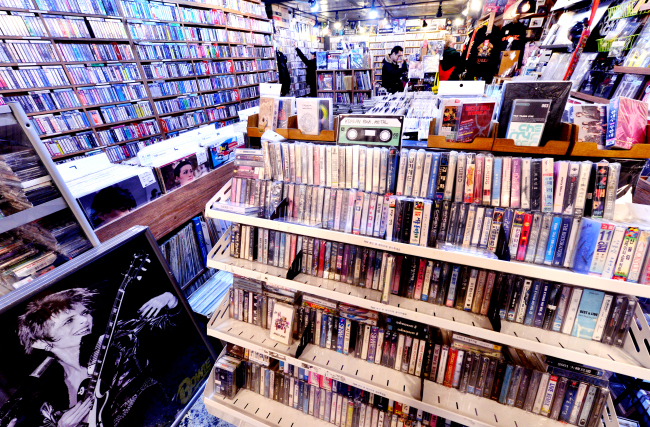 Dope Records in Mapo-gu is a newly opened cassette store in Seoul that is like a nostalgic playground. The store is not large, but it offers enough space to roam between the shelves full of winding pieces of plastic film nicely fit into plastic cartridges. The store has some 15,000 cassette tapes the store owner has collected over some seven years. 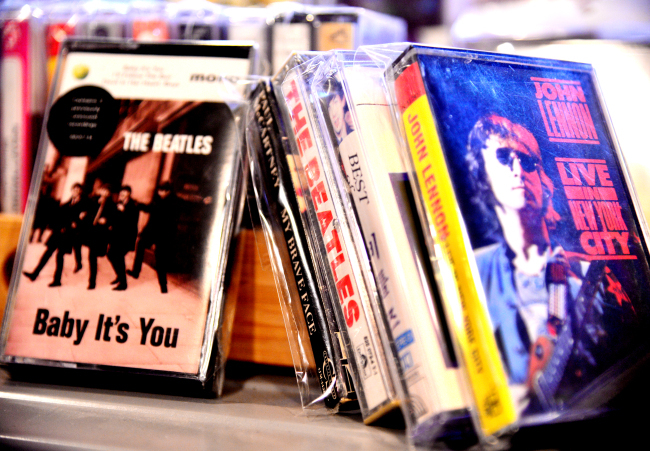 The collection comprises a wide range of music, ranging from Hall & Oates and John Lennon to local rock band Sanulrim. 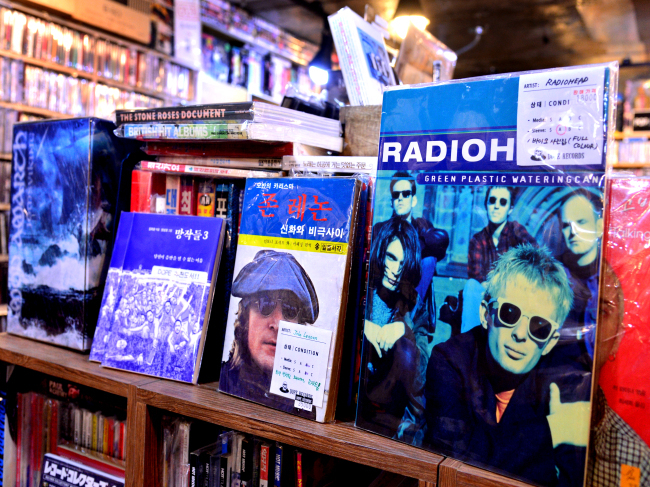 The store also has a good number of vinyl records and CD albums, along with old music magazines and goods that add retro charm to the store. In a corner is a shelf with old tape decks and a couple “Mymy” -- Samsung’s portable cassette player that came out in the early 1980s -- and Walkmans that are for sale.